Speak Up for Kids Day at the Capitol offers attendees a full day of workshops, policy review, and other advocacy activities – including visits with legislators at the Colorado State Capitol. Each year, Colorado Children’s Campaign staff assembles an assortment of training materials to help attendees prepare for the event. These training materials can be found below. Please review the 2019 Speak Up for Kids Day Training Cover Letter for an outline of training materials for this year’s event. During the legislative session the Colorado Children’s Campaign, Children’s Hospital Colorado, and Clayton Early Learning monitor, support, or oppose legislation related to child health, early childhood, and child well-being. This document lists key legislation that our organizations are following. This toolkit includes instructions on how to prepare for a legislative visit, tips on how to be an effective advocate, and a quick review of the legislative process in Colorado. 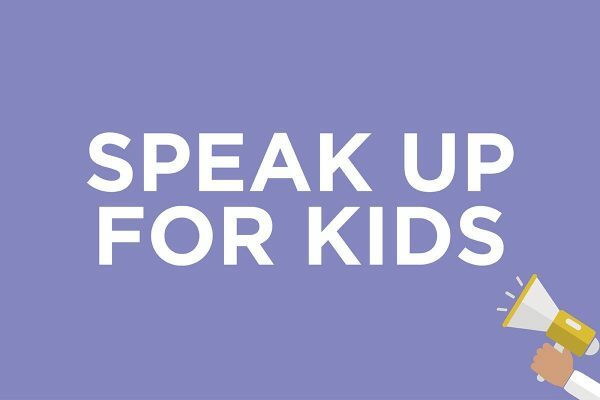 The 2019 Speak Up for Kids! Data Snapshot contains quick summaries of important issues affecting children in Colorado – issues like child poverty, health coverage, and preschool education. Please view the 2019 Speak Up for Kids Day Agenda to see a tentative schedule schedule of speakers, workshops, and other activities. Check out our 2019 Lobbying vs Advocacy Fact Sheet to learn what makes advocacy different from lobbying and read examples of both activities.